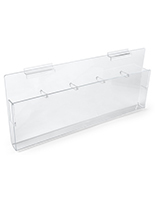 Pamphlet organizers are made from acrylic for a quality construction. Removable dividers included to change the number and size of pockets. Pamphlet organizers have pre-drilled holes for wall mounting. Slots are 1-1/2" deep to store a sizeable stack of literature. 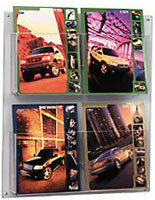 These magazine racks are wall mounted pamphlet organizers that coordinate with most any commercial or business setting. 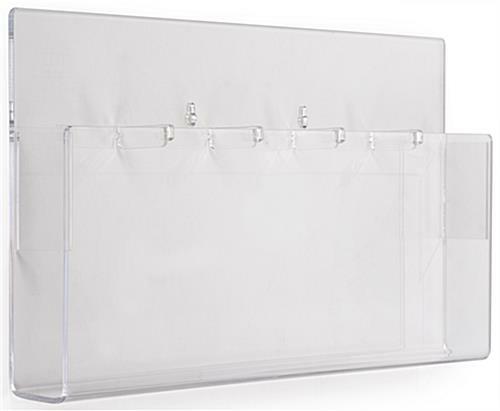 Constructed from 3/16" thick acrylic, each unit has a modern style that is ideal for use in a retail store, medical office, bank, or business. 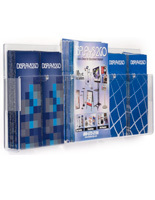 The pamphlet organizers provide a full view of the leaflets stored within each slot, since the front of each pocket is fully transparent. There are pre-drilled holes in the back panel of this display to facilitate mounting to a wall. 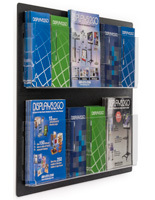 These magazine racks, pamphlet organizers are easy to mount as a result of the lightweight fabrication and pre-drilled holes. 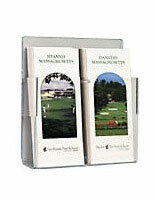 Removable plastic dividers come with these brochure holders. The pamphlet organizers hold (5) stacks of 4" x 9" leaflets when the plastic dividers are in place. 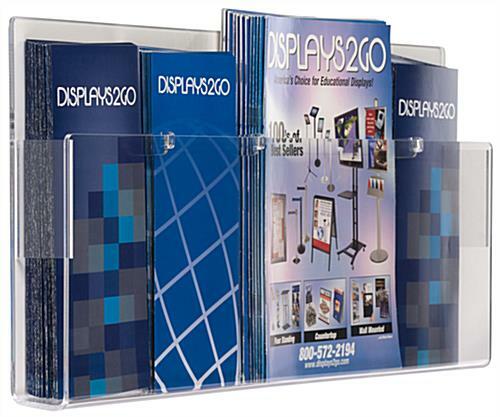 These brochure holders store (2) stacks of 8.5" x 11" magazines and (1) stack of 4" x 9" leaflets when the dividers are removed. 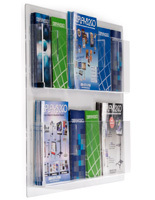 Pamphlet organizers, called wall magazine racks, that have removable plastic dividers are versatile. They allow users to provide a wide variety of reading material in a single display! The basic design of this unit is similar to many on the market. 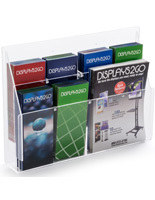 However, removable dividers, a quality acrylic construction, and wholesale price points make this magazine rack the best value online! 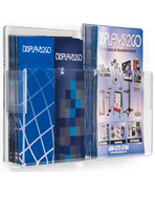 I ordered 8 of these to make a 40 place (4x9) distribution display. I also need the ability to display catalog size guidebooks. They are mounted on lightweight metal racks. They have made an impressive display of our campgrounds' brochures full face showing along with our Vermont Campground Guide and the State Chamber Vacation Guides at the Camping and RV Shows. The only issue that I have are the removable plastic dividers. They do not stay in place. I have considered gluing them in place, but that would eliminate my flexibility that i was looking for.